Of the albums in this list, I own “Stop Making Sense”, “Berlin”, and “Bat out of Hell”, and I own other albums by Muddy Waters and The Yardbirds, but not the ones in this list. I have the song “Just can’t get enough” by Depeche Mode, but I don’t think I have anything else by them. The album of the three I own that I have decided to blog about is “Bat out of Hell” which I think it an outstanding album. I am actually surprised it is this low in the list, I would have expected it to be in the top 100 at least. What can be said about this album? Well, it is driven by Meat Loaf’s amazing vocals, and Jim Steinman’s “rock opera” style lyrics. I remember hearing this for the first time in about 1981, and it became a staple of all the parties I went to in my last year or two of school and at university parties too. I have the DVD about this album from the “Classic Albums” documentary series, and it is very very interesting. If you like this album, I highly recommend getting hold of this documentary, I think it will increase your liking of the album even more. The song I have decided to include is “Paradise by the dashboard light” because it is so quirky, and so operatic in its story. Also, it is the kind of story that a lot of people can relate to, and it’s full of humour and pathos. And it was so much better than it is today. And we were glowing like the metal on the edge of a knife. Here is the video, which also has the lyrics. Enjoy!! Which is your favourite song on this album? I was looking for some of my pictures of Yerkes Observatory the other day, and thought that the easiest way might be to go to my blog of the talk I gave about Yerkes to Swansea Astronomical Society in November 2012. But, to my surprise when I went to that blog, I did not have a gallery of my slides from the talk, but just a link to a MASSIVE (25 MByte or something) pdf file instead! So, today I am correcting that, here finally is a gallery of the slides. Yerkes Observatory – the birthplace of modern astrophysics. The three heroes of our story. William Rainey Harper, the “child Presient” of the new University, George Ellery Hale, the “child” Director and Charles Tyson Yerkes, the wheeler-dealer from Philadelphia who paid for it all. William Rainey Harper, the first President of the University of Chicago. He had been instructed by Rockefeller to recruit the best people in the World to his new University. As of this year, 2014, one could argue that Chicago is the best university in the World. It has more Nobel Prize winners associated with it than any other university. George Ellery Hale, the first Director of Yerkes Observatory, is one of the most remarkable men in 20th Century astronomy. Charles Tyson Yerkes funded the whole project. He had made a fortune on building the elevated train system in Chicago, but was shunned by the movers and shakers in the city, possibly because he had been imprisoned for embezzlement in Philadelphia prior to moving to Chicago. The University of Chicago campus in 1892. The University of Chicago campus today. Hale’s original observatory in the back garden of his parents’ house in Kenwood, Chicago. The land where Yerkes Observatory would be built. The telescope tube and mount were on display at the Great Chicago Exhibition in Hyde Park in 1893. They were built by Warner and Swasey. Alvan Clarke and Son ground the two lenses for the 40-inch. Here they are when it was delivered to Yerkes in May 1897. Building the framework of the Dome. Putting the skin on the Dome. Putting the huge telescope mount into place. Safety harnesses were not really that common in the 1890s! Lowering the huge telescope into place. The 40-inch is an f/20, so has a length of about 20 metres. The 40-inch soon after it went into operation. The 40-inch lens is actually two separate pieces of glass, one made of crown glass and the other of flint glass. This reduces the chromatic aberration. The Dedication of the Observatory which was delayed because of the collapse of the floor in May. The optical laboratories in the basement of the Observatory. Hale designed the Observatory to include optical laboratories, mechanical workshops and photographic darkrooms, all within the same building, as well as research offices and a library. The beautiful 24-inch telescope which George Ritchey designed and built. This was housed in the dome of the South Tower, directly above where my office was when I worked there. The telescope was used by Edwin Hubble to do his PhD thesis work. The Snow Solar Coelostat soon after completion. The fire which burnt the Snow Solar Coelostat to the ground. Luckily the 24-inch mirror survived the fire. By 1903 Hale had left Yerkes to go to southern California to establish Mount Wilson (Solar) Observatory. The Observatory from the north side. This is the side that is used to enter the Observatory on Saturday mornings when it is open to the public. Yerkes from the south lawn. The great 40-inch refractor is in the large dome, which has a diameter of about 30 metres. Apollo riding his chariot across the sky, taking the Sun with him to give us our days. Some of the lovely intricate stonework around the Observatory. This sphere sits on the roof just above the entrances to the Observatory. There are identical spheres above both the north and south entrances. Me outside Yerkes, taken in 2001 just before my family and I moved back to Wales. The match between Liverpool and Chelsea at Anfield yesterday (Sunday the 27th of April) was billed as the title decider. Going into the game Liverpool had the English Premiership title within their grasp, with only three games to go they were on a long winning streak of 11 matches. But, in a tactical masterpiece by Jose Mourinho, Chelsea beat them 2-0 and have possibly not only derailed Liverpool’s title hopes, but left Chelsea in with a chance of taking the title themselves. The impetus is now with Manchester City. With a game in hand, and a superior goal difference, if City can win their remaining three games the title is theirs, irrespective of what Liverpool and Chelsea do. City’s remaining three games are against Everton away, then Aston Villa at home and finally West Ham United at home. All three games are winnable for City, Everton are possibly the only team who can threaten them. Liverpool’s remaining games are Crystal Palace away followed by Newcastle at home, again two games they should win. Finally, Chelsea’s run-in is Norwich at home followed by Cardiff away, two games they should easily win. So, based on form the title should end up in Man City’s hands, but Liverpool fans will be hoping that one of City’s remaining opponents can at least get a draw against them, that would be enough for Liverpool to take the title as long as they win their remaining games. 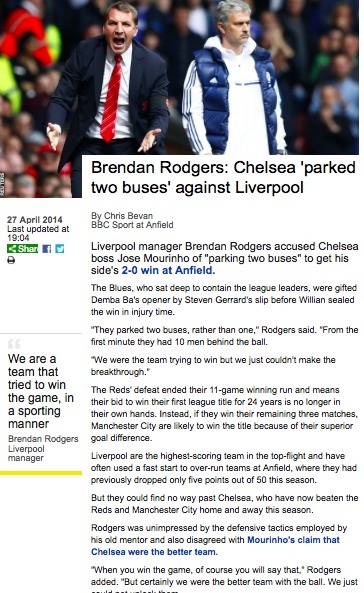 Chelsea need both City and Liverpool to slip up, so that is what I am hoping for! Who do you think is going to win the title? 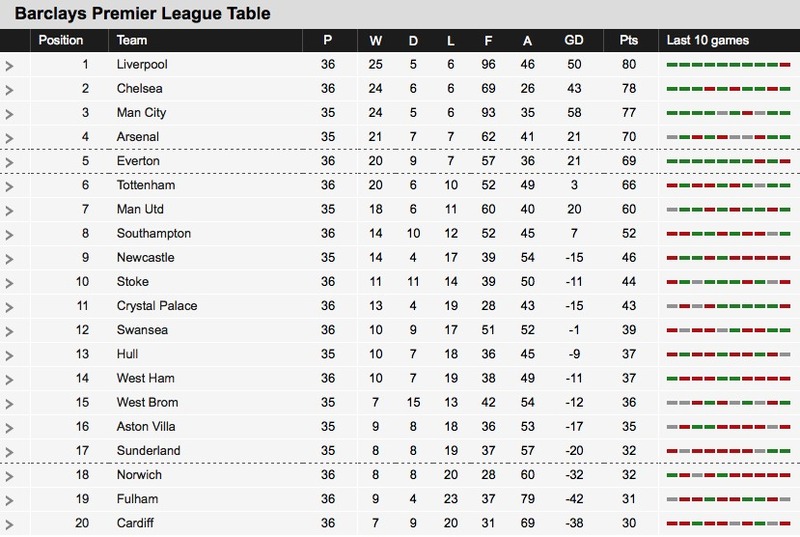 The English Premier League as of this morning, Monday the 28th of April. Liverpool and Chelsea have two games remaining, Manchester City have three. 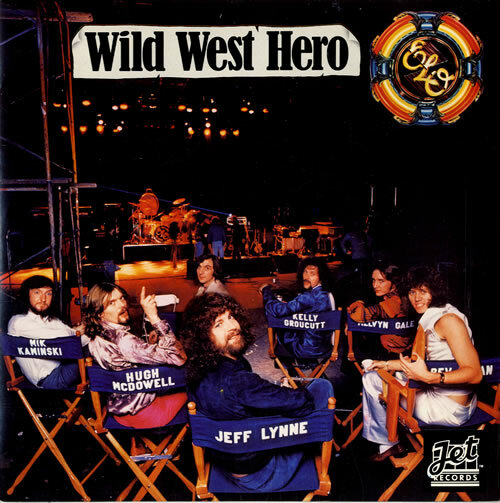 Today I thought I would share this song “Wild West Hero” by the 1970s/80s band The Electric Light Orchestra (ELO). ELO were headed up by Jeff Lynne, who was their lead singer and only constant member during their 15-year existence from 1971 to 1986. This particular song was released in June 1976 and reached number 6 in the Disunited Kingdom singles charts. It was written by Jeff Lynne, with the piano being played by Melvyn Gale, usually the cellist in the band. The song is from their seventh studio album “Out of the Blue”. As their name implies, ELO were best known for the orchestral arrangements in their songs. Their style followed very much in the orchestral tradition of rock bands like The Moody Blues. But, this song is slightly different from much of their songs. Wish I was, yeah, a wild west hero. just be a better life. and I wish I was, o-oo-o-oh, a wild west hero. be with my western girl round the fire, oh, so bright. ridin’ into the sunset, I wish I could be. try’n to do what’s right. The folks would come to me, they’d say, we need you here. I’d stay there for the night. Oh, I wish I was, o-oo-o-oh, a wild west hero. Wish I was, o-o-oo-o-o-o-oo, a wild west hero. Here is the song. Enjoy! 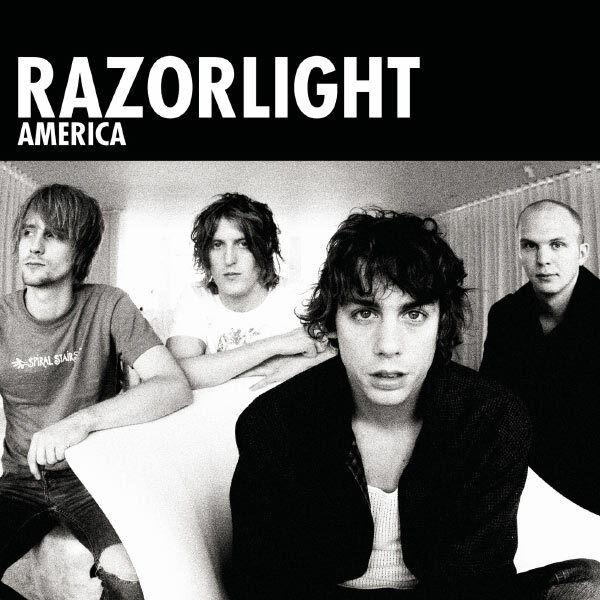 Today I thought I would share this song “America” by the English band Razorlight. This song was released in October 2006 and reached number 1 in the DUK Singles charts. It is taken from their second album, which is also called Razorlight. Here is the official video of the song. Enjoy! Which is your favourite Razorlight song? Back in late August I wrote a series of blogs on Martin Luther King, to celebrate the 50th anniversary of his “I have a dream” speech (here, here and here). At the time I said I would write more about his assassination in April, as he was killed on the 4th of April 1968 in Memphis Tennessee. Unfortunately I don’t have the time this week to do the post proper justice, so I will leave it for another time. 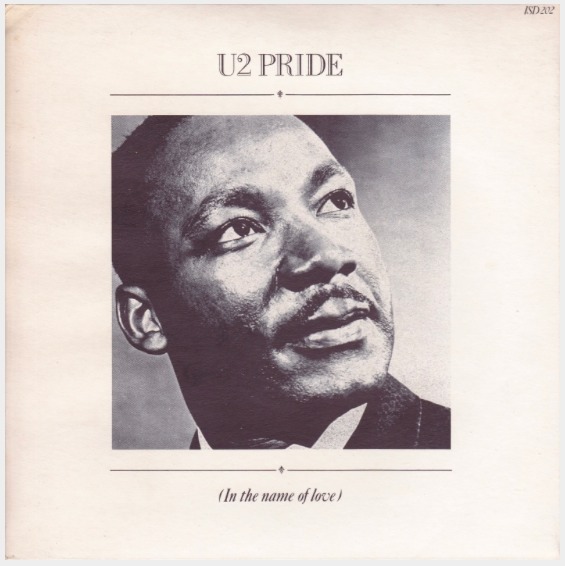 Instead, I am sharing this wonderful live performance of U2’s “Pride (In the Name of Love)”, which is one of their several tribute songs to Martin Luther King. The particular performance I have included here is from their movie “Rattle and Hum”. Enjoy! Of this list, I own the albums “52nd Street” by Billy Joel and “Brothers in Arms” by Dire Straits. I also own albums by Elton John, The Rolling Stones, Neil Young and The Yardbirds, but not the ones in this list. And, I own songs by The Buzzcocks, Randy Newman and, I think, Kanye West (I’ll have to check that last one!). Finally, I’m familiar with some of Miles Davis’ music, but don’t own anything by him. So for the first time in several weeks there is not a single artist in this list of ten whom I don’t know at some level. I nearly blogged about Dire Strait’s album “Brothers in Arms”, as it is an album I like a lot. When it came out in 1985 it became the best selling album on Compact Disc, which was a format which had just become available. I seem to remember in 1985 that tracks from this album were being played pretty much anywhere and everywhere; the album was huge. However, I’ve decided instead to blog about the other album that I own in this list, Billy Joel’s “52nd Street”. 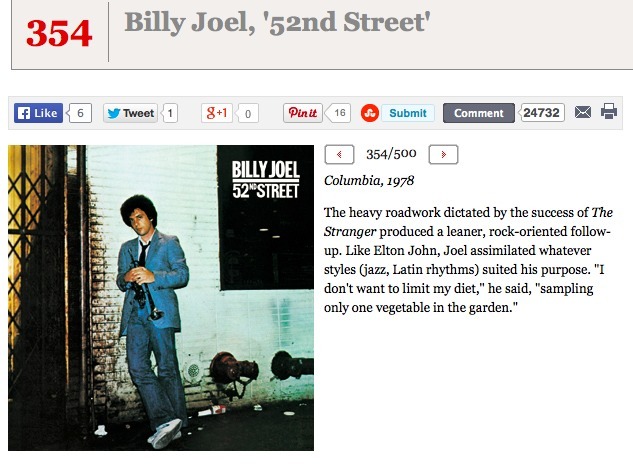 At number 354 in Rolling Stone Magazine’s 500 greatest albums is “52nd Street” by Billy Joel. The song “My Life” was a big hit in the Disunited Kingdom in late 1978, reaching number 12 in the charts. It reached number 3 in the US Billboard charts, and was a hit around the World. This was the first Billy Joel song I remember hearing, and it was this song which prompted me to buy the album. I was not disappointed. It quickly became one of my favourite albums, and then in 1979-80 I had the pleasure of discovering his earlier albums, as “52nd Street” was his 6th album. The album itself got to number 1 in the USA, and to number 10 in the DUK. Which is your favourite Billy Joel album? Which is your favourite track on this album?